The main character in my latest novel, Stealing Jake, Livy O’Brien, is a former pickpocket and street kid from Chicago. 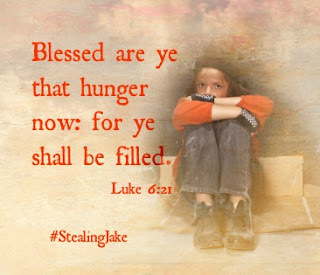 In addition, there’s a whole passel of street kids who’ve ended up on the streets of Chestnut, either run out of Chicago or transported as child labor to the small coal-mining town. As an avid reader, a fan of Oliver Twist, and the orphan trains of the 1800s, the idea of street kids and sweatshops isn’t foreign to me. But I’ve spoken to some readers who seemed shocked that children lived such lives here in the United States then and now. How do they don’t know this? How do they not know that there are people—men, women and children—all over the world still living in abject poverty. No food, no shelter, and no way of finding either? With this question burning in my mind, I started a quest to figure out how this happens in certain parts of the world, specifically in cities like New York and Chicago in the 1800s. I discovered a book titled How the Other Half Lives by Jacob Riis. Mr. Riis was a journalist and photographer who set out to document the lives of the tenements in New York City in the late 1800s. During the industrial revolution, scads of poor flooded the cities looking for work in factories. The work was touted as being easier than the back-breaking labor of share-cropping. As the poor flooded the cities, the rich retreated to their country homes, but many still owned homes, buildings, stables, warehouses, businesses in the cities. Some of those turned those buildings into tenements. Sometimes they sold their properties to unscrupulous landlords, and eventually every conceivable space was converted to housing for the newcomers. Buildings were extended to take in gardens, streets, and alleyways. When greed overtook common sense, landlords looked up. They added two, three, four, (and on and on) stories without regard to foundations that couldn’t sustain such added weight. And, then because demand for living space was at such a premium, they charged astronomical prices for tiny attic rooms for whole families. It wasn’t uncommon for fifteen to twenty families to be crammed together in a 50’x60’ stable converted into small living space: 6’x7’ bedrooms. Completely unventilated, without windows. From such unsanitary, close quarters came cholera, small-pox, drunkenness, drug abuse, and debauchery, depression, and for some, the will to live. Eventually, New York City form a Board of Health and started making laws to improve these inhumane conditions. But a generation of living in such squalor had taken its toll. Many tenement dwellers had no place to go and couldn’t afford better accommodations. Is it any wonder that groups of children found themselves orphaned, abandoned, and homeless as these tenements burst at the seams? 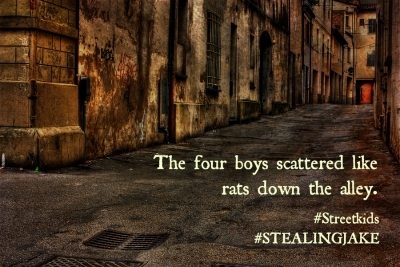 Is it any wonder they were referred to as street rats, urchins, gamines, and “street Arabs”? Tragedy, fires that swept entire wards left children without parents, and no way to find their next of kin. 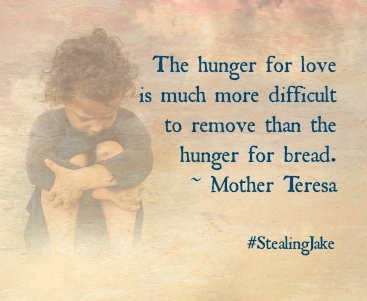 Charities and churches were overburdened and couldn’t afford to take them all in. And, sadly, some felt like these children deserved the hand they’d been dealt. This is the kind of life Livy O’Brien came from. 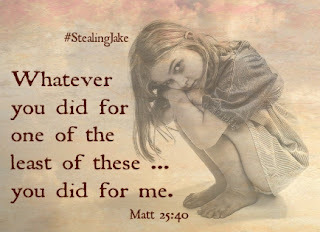 Below is the life she made for herself. 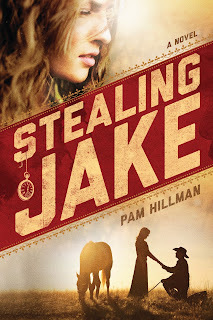 STEALING JAKE by Pam Hillman. When Livy O’Brien spies a young boy jostling a man walking along the boardwalk, she recognizes the act for what it is. After all, she used to be known as Light-Fingered Livy. But that was before she put her past behind her and moved to the growing town of Chestnut, Illinois, where she’s helping to run an orphanage. Now she’ll do almost anything to protect the street kids like herself. Sheriff’s deputy Jake Russell had no idea what he was in for when he ran into Livy―literally while chasing down a pickpocket. 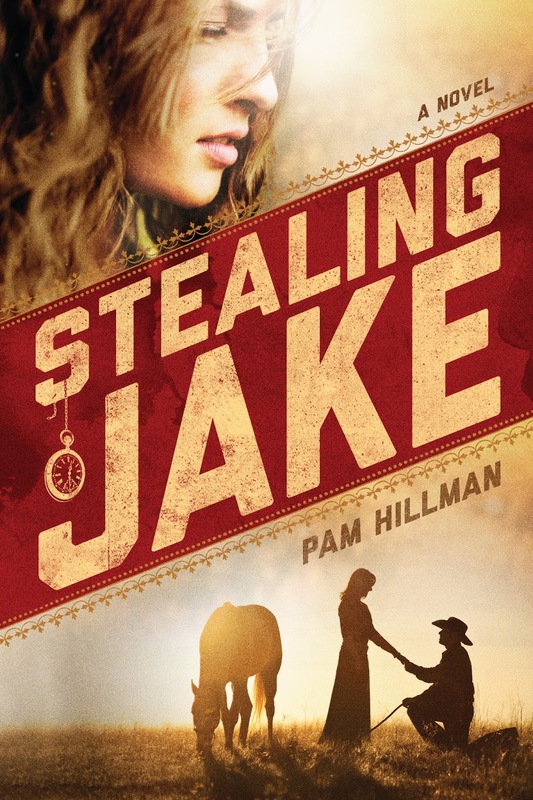 With a rash of robberies and a growing number of street kids in town―as well as a loan on the family farm that needs to be paid off―Jake doesn’t have time to pursue a girl. Still, he can’t seem to get Livy out of his mind. He wants to get to know her better . . . but Livy isn’t willing to trust any man, especially not a lawman.